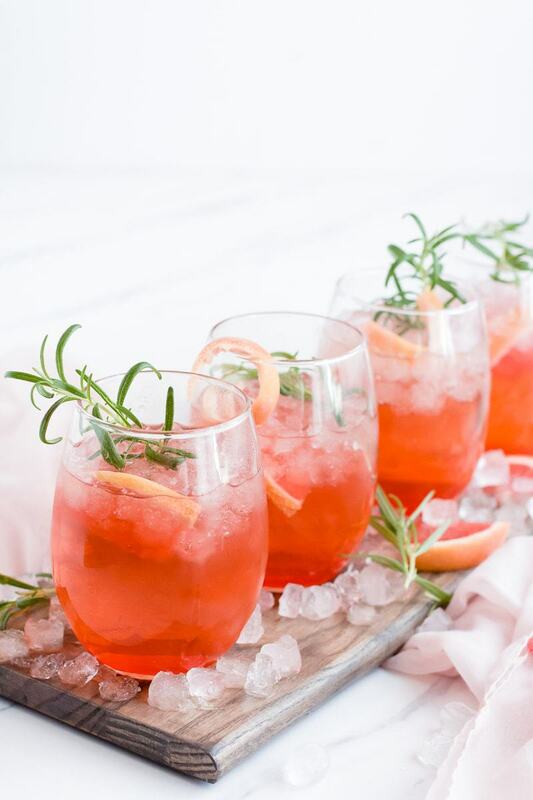 A special drink has always been a favorite thing. As a kid I would mix cranberry and orange juice together, or sprite and lemonade. Something a little fancy is always up my alley. 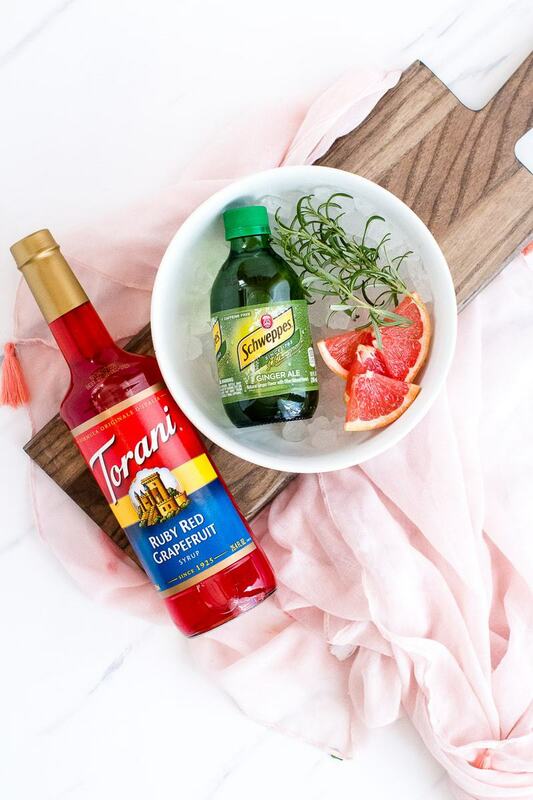 When Torani told us about their #AToraniBrunch campaign I was so excited to create this grapefruit sparkler. Citrus this time of year is delicious. I always look forward to the oranges, lemons, and grapefruit in the winter months. 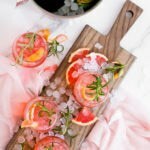 So I found it only appropriate that I make a grapefruit sparkler. This sparkler is so simple to whip up, but tastes gourmet. 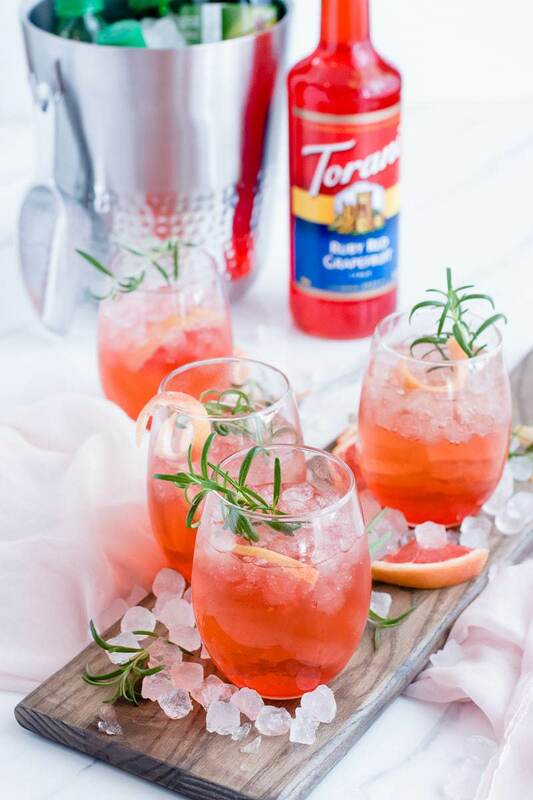 I combined ice, Torani Ruby Red Grapefruit syrup, ginger ale, and rosemary for a drink that will knock your socks off. 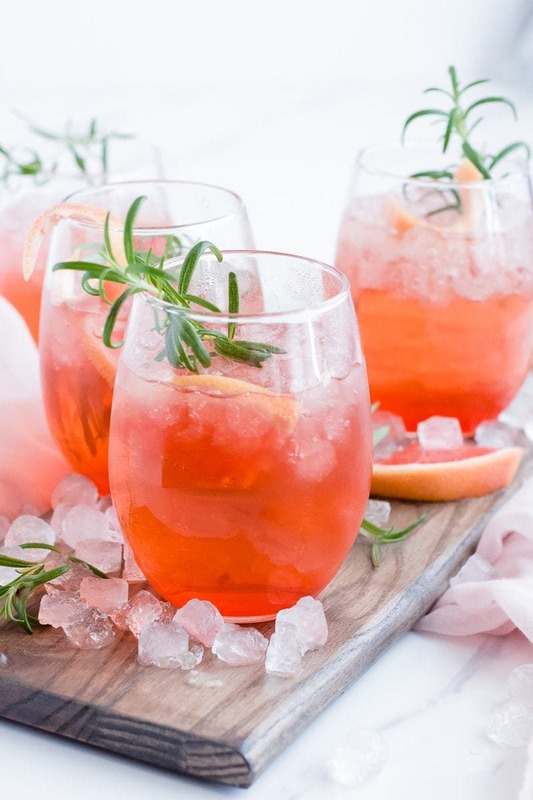 The flavors of the grapefruit combined with the ginger and rosemary make for a sophisticated flavor profile that is perfect for a spring brunch. I’ve been a long time fan of Torani. I’ve purchased these syrups for so many occasions. I recently bought some coconut, raspberry, mango, and lemon for homemade Italian sodas that I served at a game of bunco. I also love to use them for slushies, and dirty sodas. Torani is running an amazing promotion for Oh So readers – 15% off of your order PLUS free shipping on orders up to $300. Use Code OHSO15 HEREclick to shop. Normally Torani only offers free shipping for purchases over $59, so this free shipping offer is so so good! Sometimes it can be tough to get to a store with a big variety of syrups, so now is your chance to stock up without driving all over town. Offer expires on April 30, 2018. When I made these drinks the whole family loved them. Even the kids! My 6 year old told me that it tasted like a sour patch kid and asked for a second glass. This drink will really hit the spot at your next brunch. And on the topic of brunch can I recommend egg souffle, or maybe a farmers casserole. And you can’t go wrong with butterscotch pull aparts. What traditions do you have coming up this spring? We are looking forward to egg hunts, family, and welcoming the warmer weather. We always had a spring brunch at my grandma’s house growing up, and its a tradition I have enjoyed carrying on. 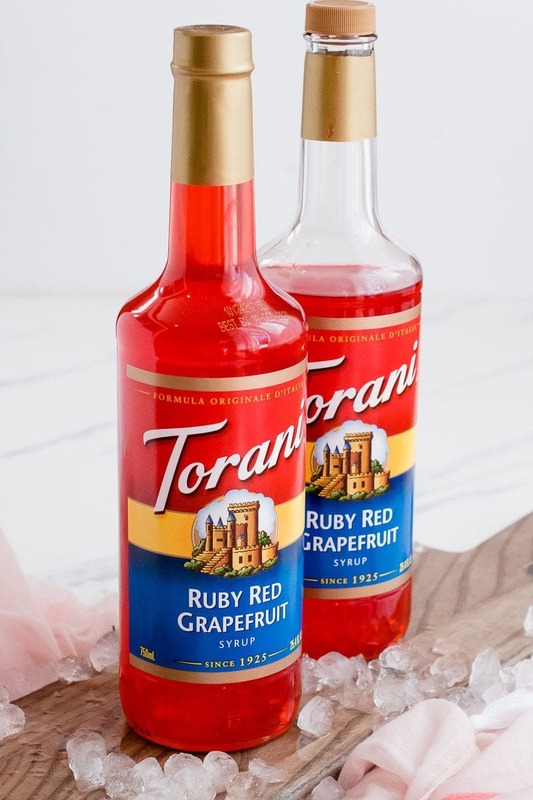 We’ve had so much fun partnering with Torani for this post. As always, all opinions are my own. 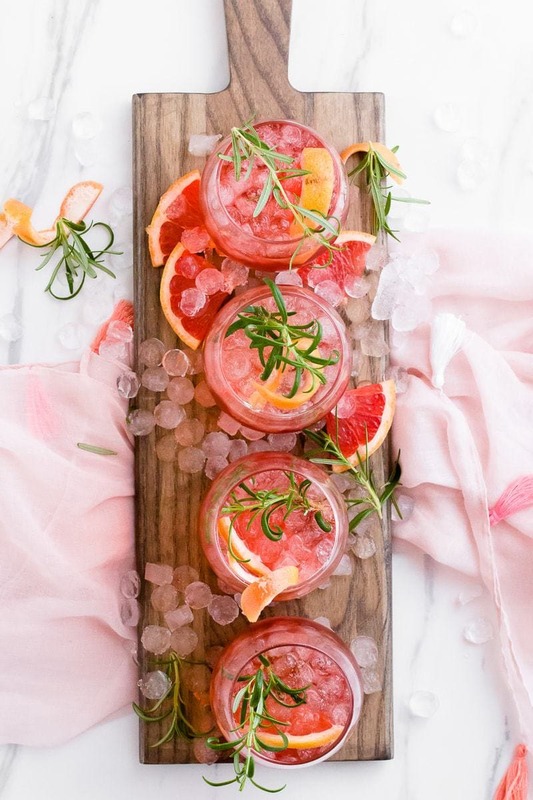 Ruby Red Grapefruit Sparkler, perfect for summer! In a glass combine ice, syrup and ginger ale. 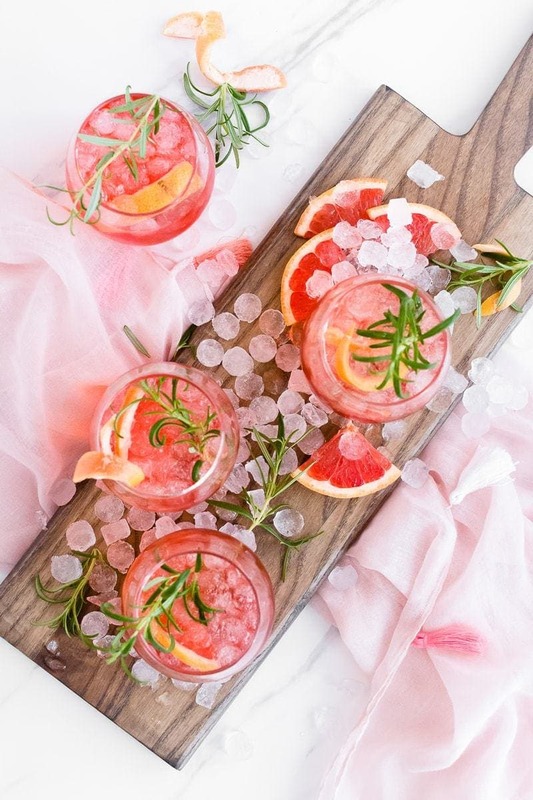 Garnish with rosemary and grapefruit slice. grapefuit is my FAVORITE, and this did not DISAPPOINT.